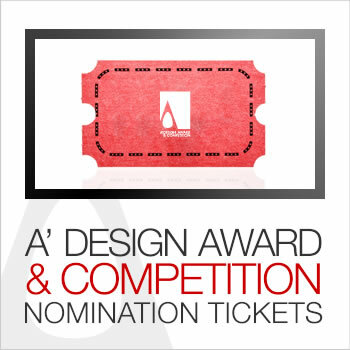 This page describes how to use nomination tickets for A' Design Competition and Award. After logging-in, from your control panel, go to nominate a design page and click the designs you want to nominate. There is a link under this page, next to the nomination button that says: "If you need to pay with other methods (such as Bank Transfer, Electronic Money etc) click here." click on that link (this is a dynamic link that changes with each design). A new page "Payment with other methods" will appear, choose Award Category and continue by pressing "CONTINUE PAYMENT" button. 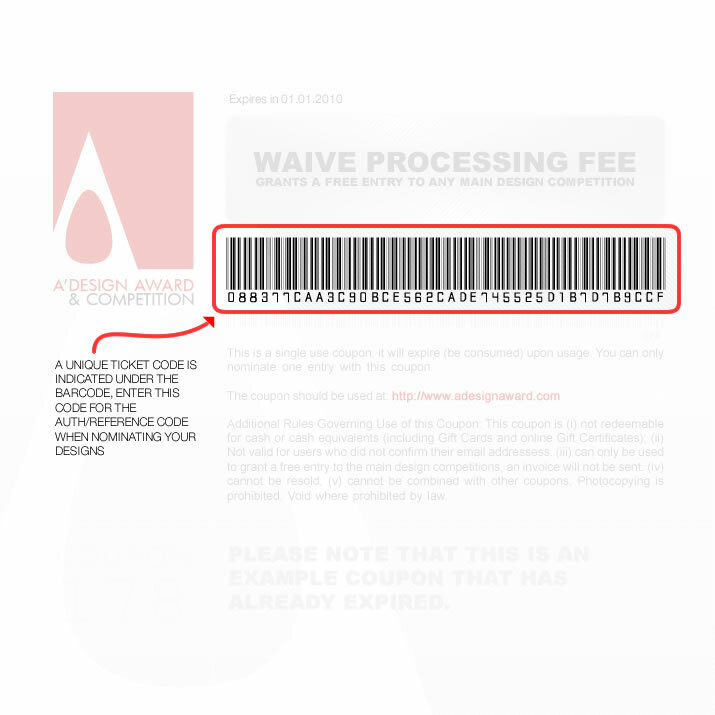 In this page, from the "Payment Method" menu choose "Nomination Ticket or Digital Edition Ticket". You should choose the correct one; Choose Nomination Ticket for Professional Edition Entry, and choose Digital Edition ticket if you wish to enter the Digital Edition. Enter the"TICKET CODE (40 CHARACTERS)". (Example: 0f5afaca90605dde10a5a746665f4a3b5b604103). to AUTH/REFERENCE CODE field and press "CONTINUE PAYMENT" and we will manually confirm the transaction afterwards. (If you did not receive your ticket codes yet, type in your email address). (1) Don't worry about the fees displayed; they are irrelevant, you will not be charged for nominating your design as you are using the nomination ticket which is already paid for. (2) DO NOT TYPE HYPENS, SPACE, TAB, NEW LINE OR ANY OTHER CHARACTERS. We will confirm the tickets and your designs will be nominated. You do not need to make any payments for nomination. • A better explanation about how to use the Professional Edition Nomination tickets is here. • A detailed explanation about how to use the Digital Edition Nomination tickets is here. Alternatively, a really easy way to use your tickets that are already in your account is as follows: Visit the Nomination Tickets page, and click the link says "Click here to use this ticket to nominate a design". Remember that you can use each ticket once. Please contact us if you now are interested in any of the nomination packages. To learn more about nomination tickets and packages, click here.